Cash, jewels, gold bars and a smug-looking bear all star in Cash Cave, a bright and colourful pokie from Ainsworth Gaming. Played out over 5 reels, it’s got symbols arranged over 3 rows and a huge 100 paylines to land them across, while players can trigger bonus rounds such as free spins with multipliers, along with wild substitutions and scatter payouts. Ainsworth Gaming have built up a reputation for releasing pokies with unusual features, but the rewards in Cash Cave start with the base game, where the 100 lines should lead to multiple opportunities for players to land winning combinations. This makes it a low-volatility game, which most people prefer, as they won’t have to spin the reels over and over before seeing a return on their wagers, although it also means that the average prizes won’t be huge. They should bear with it though, as there’s still opportunities to claw back some decent payouts, especially when the bonus games are triggered. An ornate gold frame surrounds the reels, with the game logo below them and control buttons right at the bottom. It’s all set against an image of the bears’ cave. This cave isn’t some dank, dark hole where our bear has decided to spend the winter, but a bright purple place with huge piles of cash on the floor. Quite how a bear has earned so much money remains a mystery, but he seems pretty happy with his haul and who can blame him? Players will also be happy when they win prizes by landing 3 or more of the same symbol type across an active line running left to right, with the smallest payouts coming from the 9, 10, J, Q, K and A playing card symbols. Multi-coloured jewels, the dice, piles of cash, gold bars and the $ symbol will pay out progressively bigger prizes, and account for the reason there’s 100 lines. There’s 14 different symbols, not counting any bonus ones, making it a little harder to land winning lines, but it’s still possible to complete several combinations in a single spin. The bear is a wild symbol, which is only appropriate really, and he can act as all except the scatter to help complete extra lines, although he only appears on reels 2, 3 and 4 and won’t be able to make up a winning combination on his own. He can however, be stacked across a whole reel, which further increases the chance that lines will be completed. 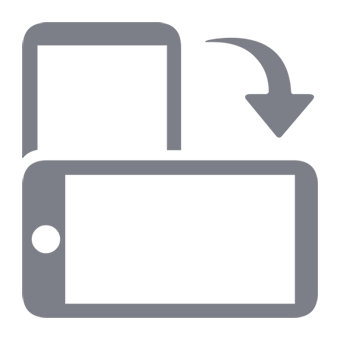 The game logo acts as a scatter symbol, meaning that it can be scattered anywhere on the reels to be worth a prize, while the wins will be multiples of the total bet, rather than the amount staked per line. Once the scatter wins have been credited, players will then be taken to a free spins game. In this round, 10 spins will be awarded, but there’s multipliers attached to each symbol, so any wins that occur will be increased several times over. It’s not a straightforward table of multipliers though, with all wins doubled during the first 3 spins, then the picture symbol wins are multiplied by 5x while others remain at 2x for the 4th spin, and by the time players get to the 9th, they will see $ and gold bar wins multiplied by 5x and all others by 8x. If just 2 more scatters appear during the free games, a further 5 spins will be added to the end of any still left to play out, and all wins will be at an 8x multiplier. 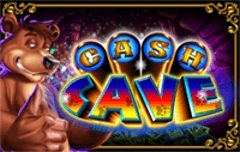 Cash Cave is a nice looking game that has a slightly unusual theme, as the background and bear are the only unique images related to it. But that doesn’t really affect how it plays, and thanks to the number of paylines, it’s a game that should see plenty of winning spins. If there’s an issue with this pokie, it’s nothing major and concerns the over-complicated free spins multipliers, but the majority of players will be happy just to sit back and watch the bigger wins come in as the free games proceed. It’s worth pointing out that the reels are standard during the bonus games, so there are no extra wilds, or a richer mix of high value symbols in place and getting a win isn’t absolutely guaranteed. It’s going to be a pretty unlucky player who doesn’t see any wins at all in the free spins however, so overall this is another high-quality game from atrusted and respected developer.